Bitcoin Press Release: Blockchain exchange platform CryptoCoin.Pro has announced the launch of its ICO service suite, which will support both established and upcoming projects. October 9th 2018, Luxembourg – This May, fully licensed Cryptocurrency exchange and ICO services platform,CryptoCoin.Pro, is launching a complete service suite for Initial Coin Offerings with personalized solutions aiming at their success. The company is offering support to both new and established crypto projects and ideas. On an emerging market where ICOs are daily launched, CryptoCoin.pro brings value and stability through its vision. The company is empowering ICOs during their entire development phase and helping them overcome any existing barrier in investment and adoption, being banking friendly and compliant to regulation standards. CryptoCoin.Pro provides to the Blockchain projects, a complete list of solutions for enhancing their presale phase. Using CryptoCoin.Pro, tokens can be sold directly for FIAT (Credit Cards, Bank Transfers) and Crypto (ETH / BTC). Game-changing names like Kuende, the first blockchain fueled social network and IPSX world’s first decentralized IP Sharing exchange, are starting to bring value to the market and its clients. 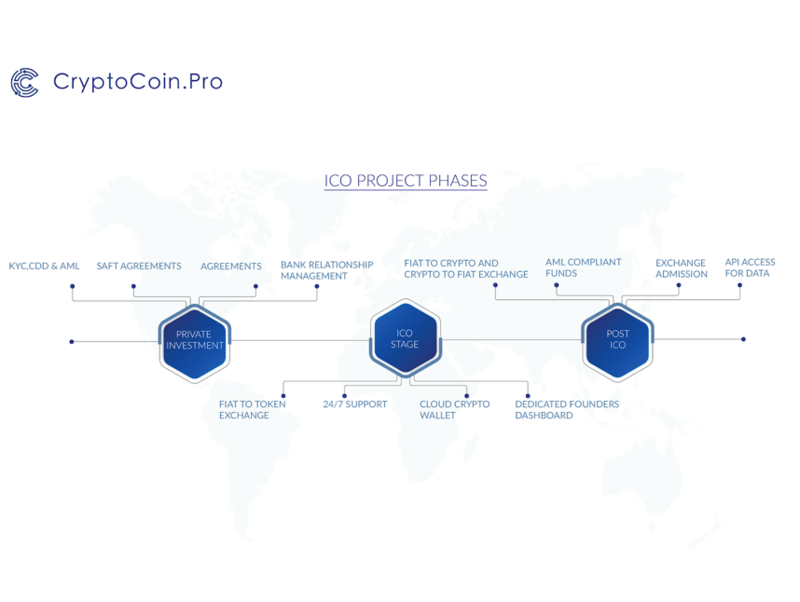 A result of significant research, CryptoCoin.Pro came with solutions to the existing ICO market problems by focusing on AML Compliant funding, Licensed Exchange Services, and Cloud Wallet Safety. The new ICO products portfolio is already available and can be seen in detail on CryptoCoin.pro’s website. On this page, clients can schedule a meeting or start onboarding in a friendly and transparent manner. CryptoCoin.pro is the source of this content. Virtual currency is not legal tender, is not backed by the government, and accounts and value balances are not subject to consumer protections. This press release is for informational purposes only. The information does not constitute investment advice or an offer to invest. The post Blockchain Exchange Platform CryptoCoin.Pro Launches ICO Service Suite to Support Upcoming Projects appeared first on Bitcoin PR Buzz.